SIMS seeks applications for the 2016-2017 Visiting Research Fellowships. The program aims to encourage research relating to the premodern manuscript collections at the University of Pennsylvania Libraries, including the Schoenberg Collection. Affiliated with the University of Pennsylvania, located near other manuscript-rich research collections (the University of Pennsylvania Museum of Archaeology and Anthropology, the Free Library of Philadelphia, the Chemical Heritage Foundation, and the Rosenbach Museum and Library, among many others), and linked to the local and international scholarly communities, SIMS offers fellows a network of resources and opportunities for collaboration. Fellows will be encouraged to interact with SIMS staff, Penn faculty, and other medieval and early modern scholars in the Philadelphia area. Fellows will also be expected to present their research at Penn Libraries either during the term of the fellowship or on a selected date following the completion of the term. Applications are due May 15, 2016. 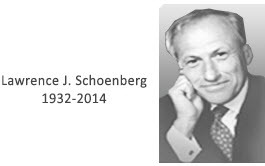 For more information on eligibility and the application process, go to: https://schoenberginstitute.org/visiting-research-fellowships.